Take your gardening to the next level with this simple, kid-friendly weather project. Many gardeners measure the rainfall they receive, every day it rains. They then note this down in their garden journals along with other information like the weather conditions, air and ground temperature, and what they are doing in the garden that day. 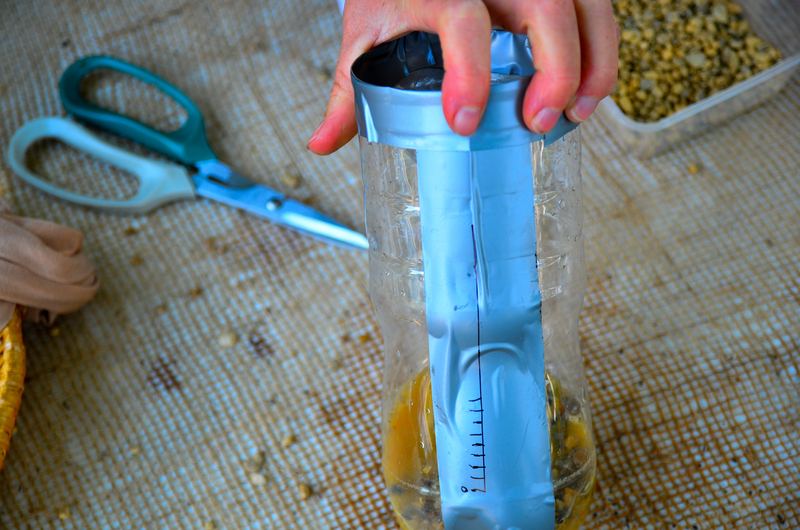 Making a rain gauge is a fun and easy project, and an important addition to the garden. 1. Using the scissors, cut the top of the bottle off at the point the curve meets the straight sides of the bottle. 2. 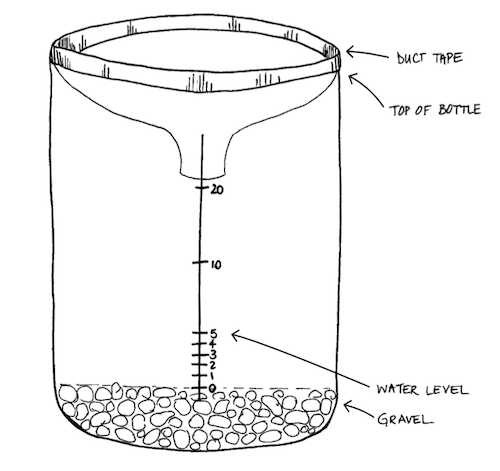 Fill the bottom of the bottle with gravel – make sure you have filled it to the point where the sides are straight. It needs to be heavy enough not to fall over in the wind. 3. Pour water into your bottle so it just covers the gravel. 4. Using the ruler and marker pen, draw a line vertically up the side of the bottle. 5. Mark ‘0 cm’ at the line the water ends. 6. Mark horizontal lines in 1 cm increments. 7. Take the cut top of the bottle, turn it upside-down and insert it into the top of the bottom portion of the bottle. 8. Secure with duct tape. 9. Place the gauge in your garden in an open area, away from trees or anything overhead. Check the rain gauge daily and record progress in a graph or journal.